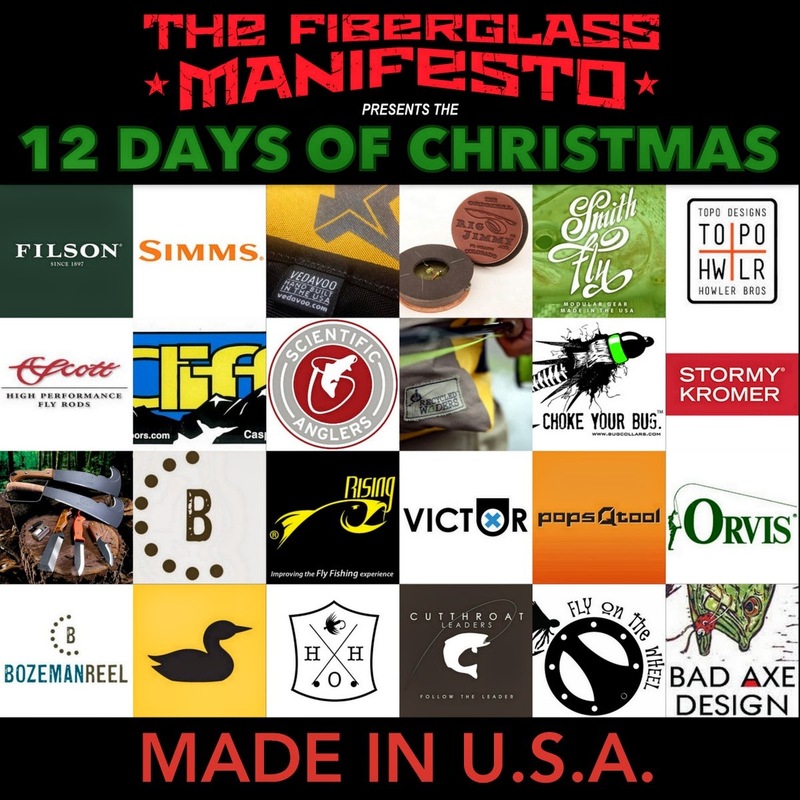 The Fiberglass Manifesto: 12 Days of Christmas - Made In U.S.A.
12 Days of Christmas - Made In U.S.A.
NOTICE - If you are visiting The Fiberglass Manifesto to get in on the 12 Days of Christmas giveaways please click HERE which will take you to the current day's giveaway. Thank you. Can you believe it's Christmas time? And do you know what that means? It's time for the fourth annual "12 Days of Christmas" giveaways on T.F.M. The event starts on Monday, December 8th and will continue through Friday, December 19th. 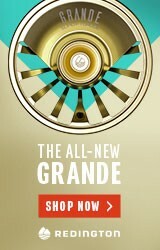 As in years past, all you'll need to do is submit an email each day to be in on the daily giveaway. It's easy, it's fun, and I am stoked to be doing it again. This year I decided to add a theme to this event as I have wanted to highlight the gear and work of all the companies that build some, if not all, of their products in the U.S.A. 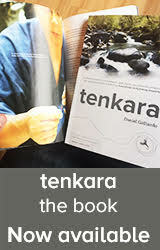 There is certainly a noted difference in the quality of gear made here and this event will highlight fly fishing gear and outdoor tools that I consider to by my own favorites. Check back Monday morning for the first day of the event which will again be Christmas Stockings stuffed with all sorts of fine gear from a mix of companies and then the following eleven days will have a single gear sponsor with very significant giveaways each day. We are ready!!!! thanks TFM for all you do!! Woohoo! I've been waiting for this! WTG TFM! Thanks for continuing the Christmas tradition, Cam! I can't imagine the amount of work you put in to making this happen. 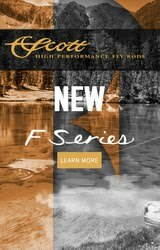 You are a true champion in the fly fishing community. Merry Christmas!!! I am an avid fisherman and have been since childhood. I have recently become a fan of your blog :) I have developed a line of Polarized Sunglasses that is affordable to everyone. I believe in the thrill and sport of fishing, more so than making any type of profit. I would be more than happy to send you a pair at no charge. Thank you for your dedicated contributions to the fishing world. 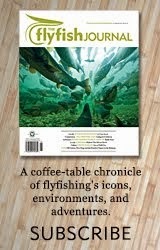 Cameron, thanks for doing this and sharing the fly fishing love. You are my kind of Santa! Hopefully I get my emails in on time! Awesome! Thanks for all your hard work, Cameron! 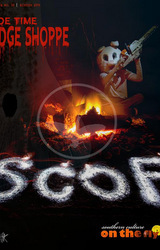 This is pretty much the best contest ever! who do we email, you cam? I look forward to this every year. I just love it when other people win things. Well done as usual Cam. Happy Holidays! A nice way to end 2014!! Very cool, how do you enter? Thanks again for another great round of giveaways this Christmas. Looks like it's gonna be a great one. Thanks TFM, Merry Christmas! New to TFM... Who do I submit an email to? Thank you!